10 Cheap Eats in the CBD for Under $10! It's time for our second round of ten-dollar (hollaaahh!) cheap eats in Melbourne (you can read the first one here)! This time we work to serve our hungry, time and money poor punters in the CBD. That crisp blue note or that handful of silver and gold never felt so good after reading this top 10 'bang for your buck' list we have so feverishly 'banged' together! So let's celebrate the eternal cash crunch and splurge our loose change on the tastiest delights our delectable maze of a metropolis has to offer…We bring you 10 cheap eats in the CBD for under $10. These wonderful morsels of deliciousness will fit in the palm of your hand! But you can fit many more in your mouth at the tidy price these baos (chinese steamed buns) fetch. From between $1.70 - $3.80 you can take your pick from braised or roast pork belly, chicken, egg and mushroom, vegetarian, or a custard bun with hot soy milk to finish. Surprisingly filling, and surprisingly satisfying, you'll be going back for another tenner's worth tomorrow. Not only is this a cheap and cheerful place to grab a bite, the novelty value is through the roof! I mean seriously, sushi as a burger? What a clash of the cultures. This is the newest and probably quirkiest way to eat Sushi, and to top it off it's also BYO (a boozy lunch might fit the budget after all). All sushi burgers on the menu are under $10 and showcase a selection of Japanese fillings with rice and seaweed for a bun. (Editor's note: if this floats your boat, you should check out the Ramen Burger). 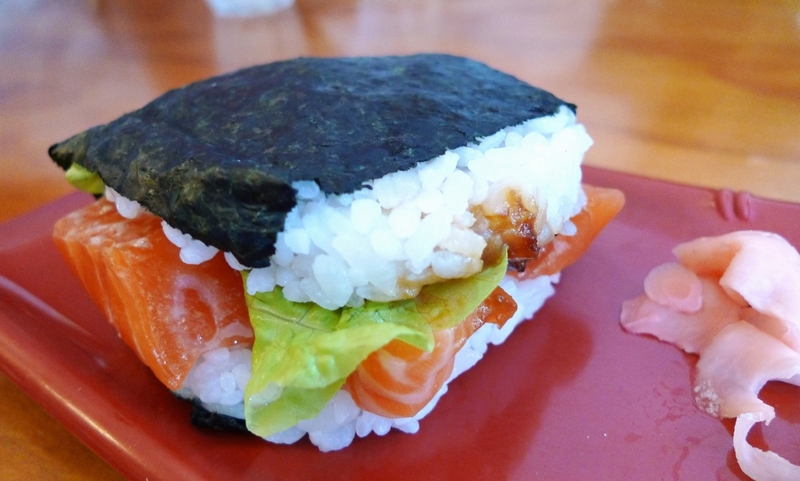 Mmm sushi burger. Image Credit: Gourmet to Glam. Searching for something quick, cheap AND fresh? Go no further than Nourish, where there's a different option for every day of the week. Try the Philadelphia steak salad for a mere $8.90, or a $9.90 baked potato, piled with seven toppings of choice to fill that gaping hole procured between business meetings. Choose your timing for Shanghai Street Dumpling wisely, as this place is renowned for a line that steers its way down Chinatown. But there is a reason for the popularity of Shanghai Street, and it's because the dumplings are damn good! Far from the stodgy, flavourless variety, these dumplings are plump, tasty and still hold the token cheap price tag. Now the choice is whether you'll go for fried, steamed or boiled? Burger geeks have already stormed the Smith Street stalwart Huxtaburger by the masses, and city slickers are now also in luck. There are three delicious choices of burger for under $10: Sondra (tofu with sesame soy mayo), Denise (the hot one) and the classic Huxtaburger. Or if you can settle for crinkle cut chippies, you can get four lots of the small size, but really, just grab a burger. Glorious Huxtaburger buns - nom nom! 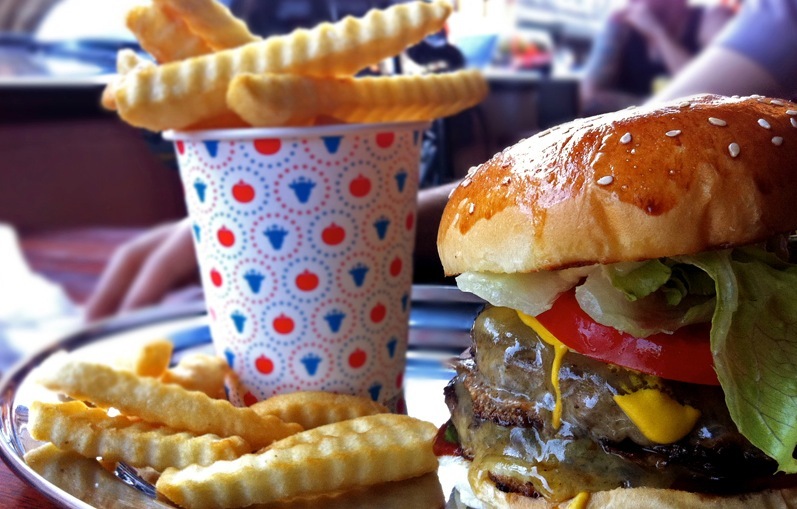 Image Credit: Huxtaburger. 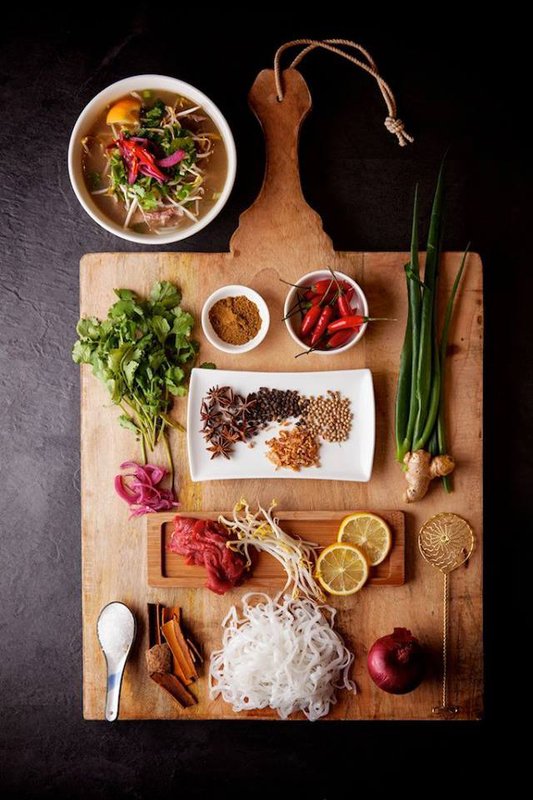 Roll out that $10 note and roll on into Roll'd, an authentic taste of Vietnamese street food in the concrete jungle. The Mr. Bun Mee is said to have been born in Saigon and crafted in Melbourne, whilst the Roll'd Soldiers really pack a punch! Nearly everything on this fresh 'n' tasty menu is under ten bucks, even the combo deals (bar the 'House Special' and 'Street Elite', which require an extra couple-a-bucks, but are well worth it). These bangers really deliver a bang for your buck! The heavenly street-side "haute dogs" are served in either a brioche or poppyseed bun, and the preservative-free specialty meats are sourced from local, artisan butchers, including Jonathan's in Collingwood and Hansa in Prahran. If you're less of a meaty dog fan, there are four vegetarian options including the Veggie Nacho Libre and the spicy vegetarian chorizo. Not a leaf eater? Might we suggest snagging the chicken & rocket or the Wagu beef and horseradish. It's a gourmet Aussie BBQ in the city! Misschu has a well-earned reputation as the 'Queen of Rice Paper Rolls' and all things Vietnamese. The Misschu tuck shop in the city provides not only the famed rolls of rice paper, but also peking duck pancakes, steamed dumplings, buns and spring rolls, all of the most authentic Viet-variety. A tasty rice paper roll duo, or dumpling trio won't break the $10 budget and you can order online for a swift pick up too! Fresh, delicious and easy on the hip pocket. Image Credit: Roll'd Facebook. You simply cannot bypass the Borek shop in the deli hall of the Queen Victoria Market – where else can you get true authentic Borek for $3? Spicy lamb, chicken and veggie, spinach and cheese, lentil...the list goes on, and changes daily. You can grab three different flavours in one go, and with that extra $1 grab an apple from the fruit and vegie section on your way out. 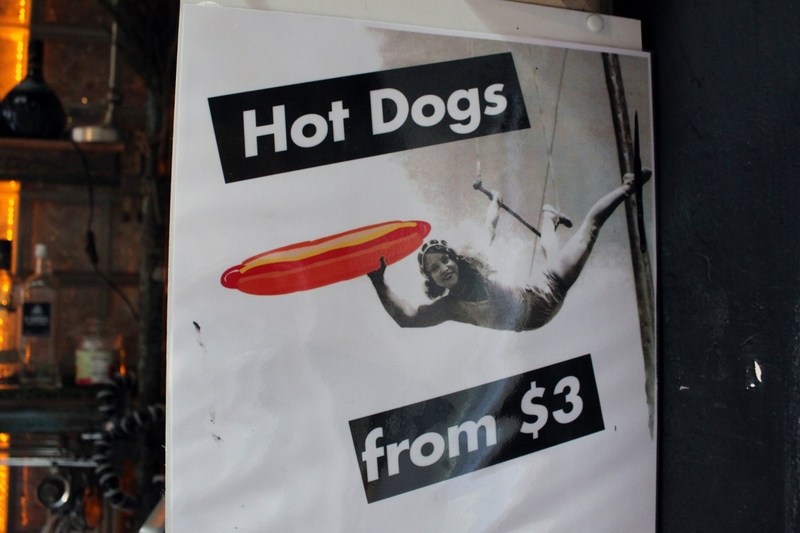 Every day between 12 and 5pm at Ferdydurke, you can sink hot dogs for $3 a pop, with no exceptions on the menu. You may as well get three then! You may even care to get all-deluxe on the dog situation and add beer braised Sauerkraut, jalapenos, chilli cream cheese or cider caramelised onions. But even when it's not 'hot dog happy hour', you can grab one of these bad boys for no more than $5. Oh, and 'Hippy Frank' is a vegan sausage for all you animal activists out there. Don't miss Ferdydurke's delicious cheap eats. Image Credit: Emma Forster, The Urban List. Main Image Credit: Snag Stand Facebook.